Travel back in time and discover how the Aeromovel reached you. "There’s no point in increasing flight speed. The problem is how to get to the airport". 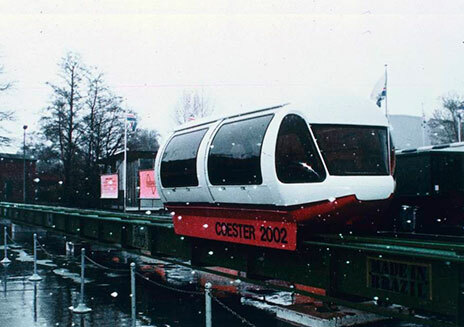 Because of his qualification and experience, Coester was at that time part of the team that took part of the "air transport revolution" back in the 1950s. Encouraged by the conversation with Berta, Coester then took his next big step towards innovation: a technological solution capable of improving and qualifying urban transport within a context of cities increasingly congested by traffic. This challenge resulted in the innovative technology of the Aeromovel System, a technology that is consolidating globally as a solution in projects that change the image of urban mobility in cities. Increasing the speed of aircrafts by three meant that 1,000 km were traveled in less time than 10 kilometers in major urban centers. This was the change that prompted Oskar Coester to put his dream into practice. This was the year that the first prototype was built to evaluate the behavior and energy performance, using very low pressure on the propulsion plate of the vehicle. The first patent was granted by England to Oskar Coester. Later, Japan, Germany, Unites States, France and Brazil, among others, followed England's decision. 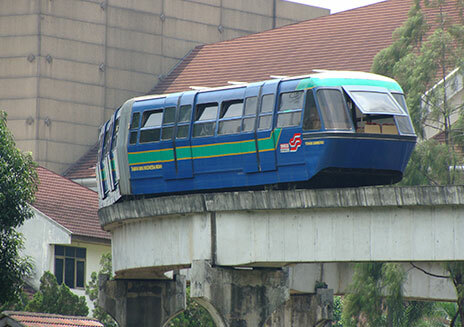 In agreement with Fundatec (University and Company Foundation for Technology and Sciences) and other research institutions, tests and evaluations were conducted, which indicated to EBTU (Brazilian Urban Transport Company) the technical and economic feasibility of using this technology in urban transport systems of medium capacity. A contract was signed between Coester and EBTU to evaluate the vehicle’s behavior in distances above 650m, curves, slopes, controllability, stopping precision and energy efficiency. With a capacity of 12 seated passengers, a vehicle was installed and operated during the Hannover Trade Fair, in Germany. Over 9 days, 18,000 people experiment the System. 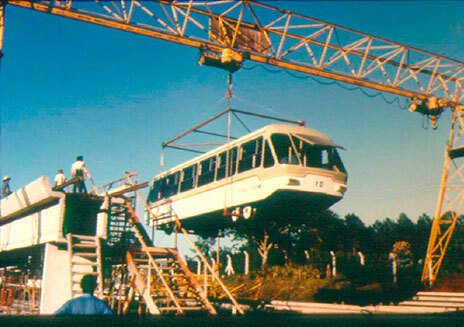 Later that year, the same vehicle was put into operation at the Expointer Exhibition Park, in Esteio, southern Brazil. 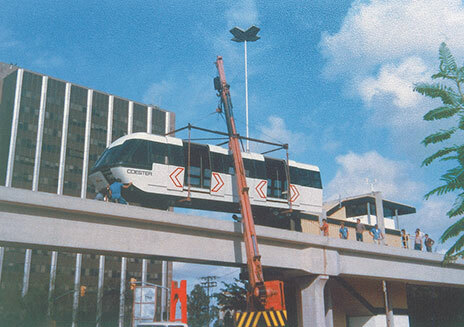 The Minister of Transport signed a contract for the construction of a pilot line - where the first beams were tested - and the prototype of an articulated vehicle with the capacity for 300 passengers, in Porto Alegre. The first vehicle module for 300 passengers was designed and built for endurance, safety and performance testing. 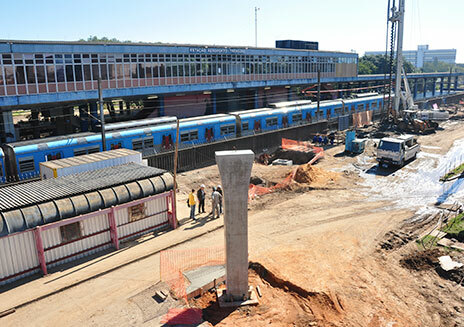 Following studies by Metroplan and approval by Porto Alegre’s Master Plan Council, the Pilot Line starts to be constructed alongside Avenida Loureiro da Silva, in Porto Alegre. 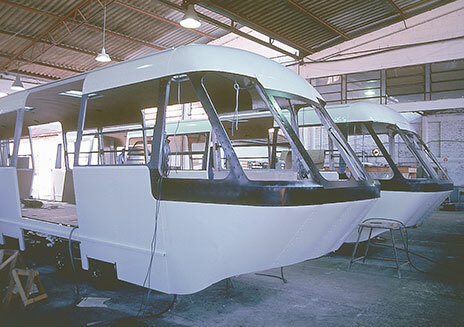 With technology and tooling from the bus industry adapted to the characteristics of the Aeromovel, the first articulated vehicle begins construction. 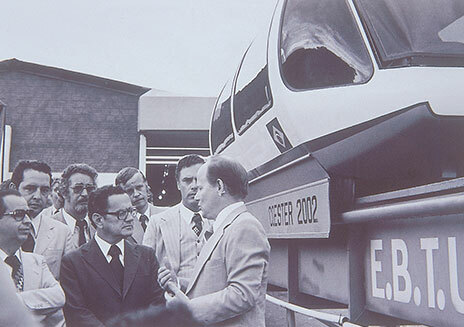 The vehicle was successfully installed on the Pilot Line. In September, EBTU discontinued the project due to political and administrative changes in the Ministry of Transports. Aeromovel decided not to abandon the work begun, even with the suspension of resources. In April, the project was reinitiated with private resources. 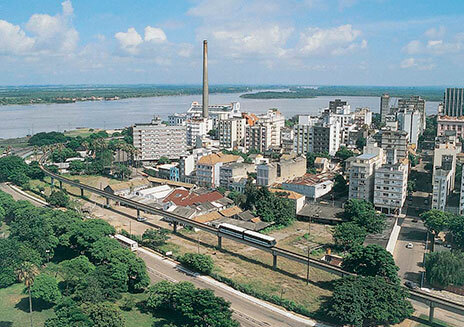 The vehicle completed its first successful journey in Porto Alegre, along Loureiro da Silva Avenue. 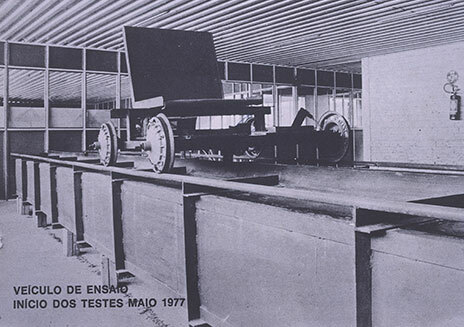 Through Fundatec, the first performance tests began, and were developed by the Federal University of Rio Grande do Sul (UFRGS) and the São Paulo Technological Research Institute. 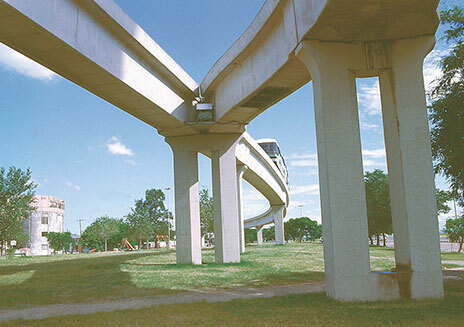 The conventional system does not match performance against sharp ramps and tight corners. 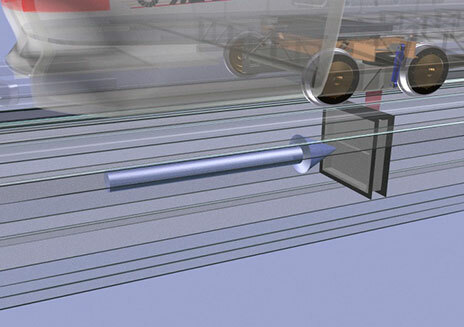 Thus, the use of external propulsion to the vehicle is proposed, inspired by the principle of sailboats. This is then able to control pressure, direction and velocity. The system is authorized to transport passengers as part of demonstrations. An extensive technology evaluation contract was signed with the Federal Government's Ministry of Transport, the Technological Research Institute of São Paulo and UFRGS. The project, as originally designed, receives the technological feasibility approval for the completion of works. To complete the first kilometer of line, an 18-month contract is signed with the Financing Agency for Studies and Projects (FINEP), for repayable financing purposes. A group from Indonesia visited the Pilot Line in Porto Alegre and was interested in building a Pilot system in Jakarta. A curved section, a deviation, a five degree ramp and another station were added to the stretch of the Pilot Line. 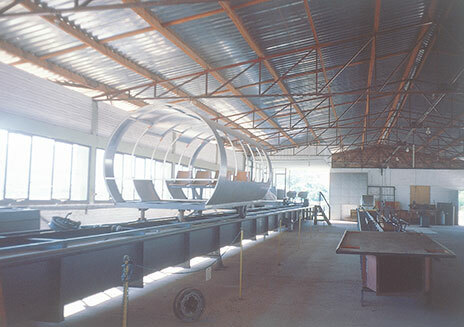 This station was equipped with automated operation control. The PT Citra Patenindo Nusa Pratama Group was granted a concession to develop the Aeromovel technology in Jakarta, Indonesia. After eight months and with the help of Brazilian engineers, the work is inaugurated in a short time. 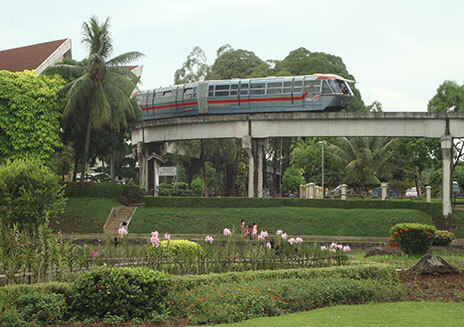 The line is 3.2 km long, with six stations and three vehicles, built in Taman Mini Indonesia Indah. 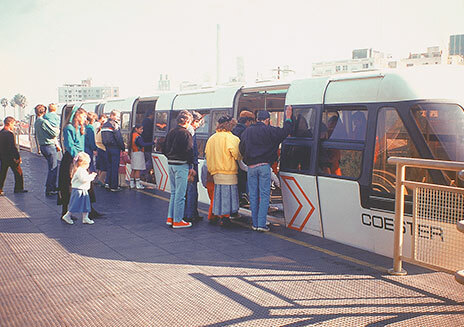 With the support of Porto Alegre City Hall, the Pilot Line was open to the public on weekends, as a tourist attraction, carrying over 12,000 people per month. A specialized work group from the Ministry of Science and Technology evaluates the Aeromovel. In its report, the group states the System’s national importance, and emphasizes its application in linking airport terminals. The Aeromovel / FINEP and PUCRS / UFRGS universities project under way to research and develop new applications and materials for the Aeromovel System concept, and also to disseminate the technology within the academic circles, as a basis for future advances. 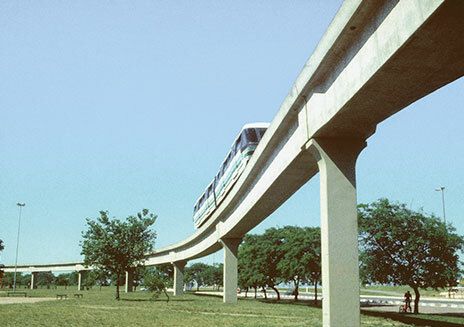 The Metro Railway Transport Articulation Plan and its Connections with Airport Areas, produced by the National Secretariat of Transport and Urban Mobility, was presented in Brasília. 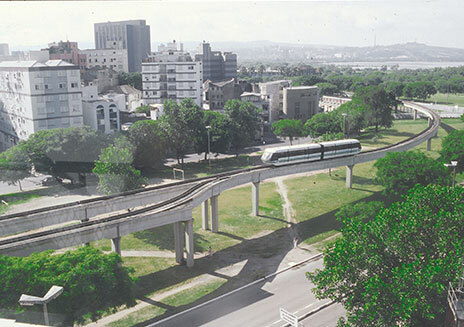 Together with the metropolitan train (Trensurb), the project for the implementation of Aeromovel in Porto Alegre is presented, linking the Salgado Filho International Airport to the Train Station. 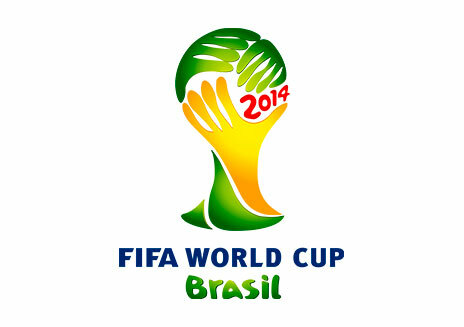 The system is part of the set of works defined for the 2014 World Cup. 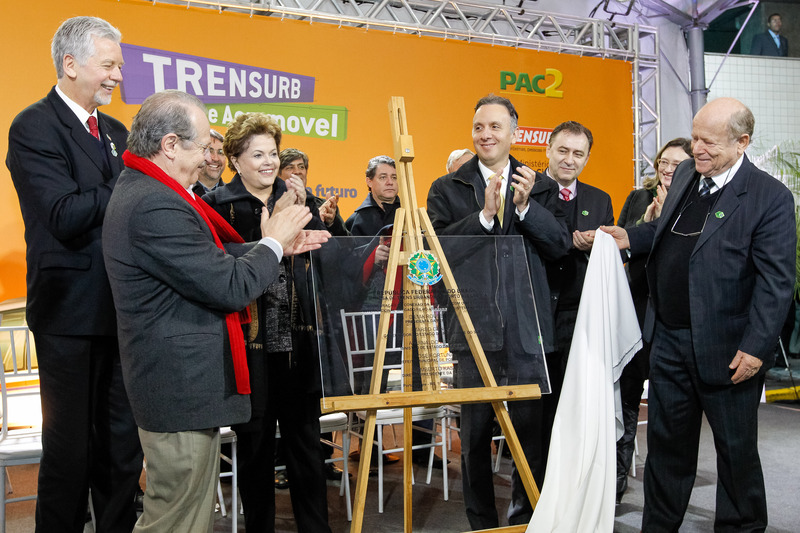 At the end of the same year, Trensurb and Infraero both commit to cooperate in making the technology available in the city, the first in Brazil to have the system in commercial operation. The Municipal Environment Department issues a permit authorizing the start of the works. The milestone for the execution of the project was announced in an official ceremony. 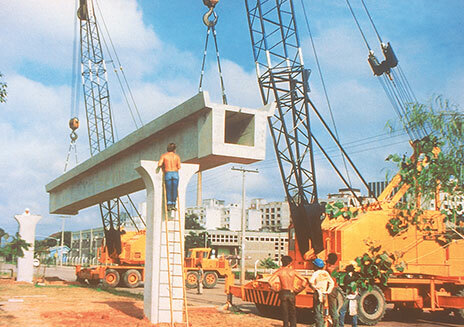 The first pillars and beams of the elevated guideway are installed. In June, power-units arrived in Porto Alegre, bringing electric engines and industrial fans. 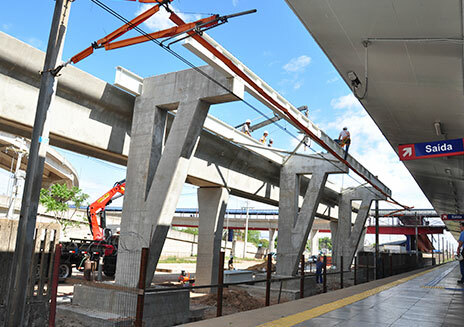 In September, the construction of the elevated guideway is concluded, the pillars alongside the station are installed and the fitting of the rails begins. The Aeromovel was inaugurated in Porto Alegre, connecting the Trensurb station to Terminal 1 of the Airport. 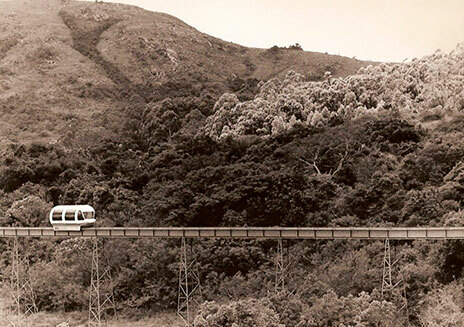 A project totally designed and produced in Brazil, with automated system and clean and sustainable technology, allowing greater integration and speed in transporting the population. 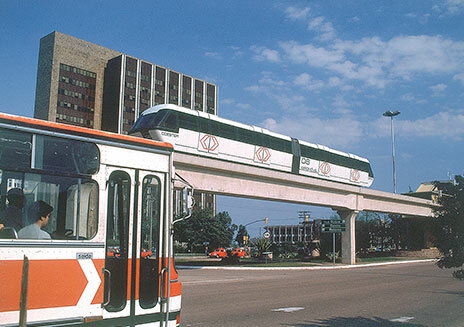 The Aeromovel in Porto Alegre was initially developed with the purpose of providing greater mobility during the World Cup held in Brazil. An access service from the airport to the city centre using the metropolitan train, with the added possibility of traveling to nearby cities. 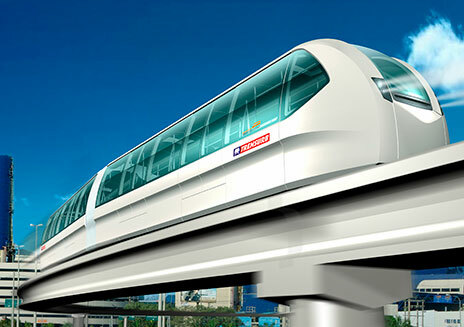 In July, a contract was signed for the construction of the Aeromovel in the city of Canoas, neighbouring Porto Alegre. Following this act, an order was given for the beginning of the executive projects of the civil works and the technology. Three months later, Marcopolo signed a contract to supply the body of the vehicles. Contracts signed with suppliers and other contractors and start of civil works. In the same year, the order was given to reallocate the medium voltage power and lighting network. 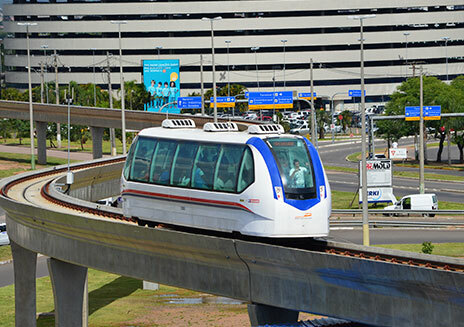 In August 2016, the Aeromovel System in Porto Alegre celebrated three years carrying passengers between the airport and local train station, establishing itself as an important means of mobility in the city.